PIPORNOT (= Primus Inter Pares + OR NOT) was an interactive workshop series searching for answers to the question: how can we build our own temporary community for any emergency situation? The workshops investigated both individual and communal concepts of “nest/home” as a temporary shelter. After the natural disaster and nuclear blast which hit aricoco's home country of Japan in 2011, her interest in how to prepare for possible emergencies was sparked. aricoco sees escaping not as failure but a decisive act of setting off on a journey in search, and in creation of, a new place. In order to understand how to organize temporary community building, aricoco investigates how social insects such as ants and bees construct and maintain their colony and how their social relationships rely on non-hierarchical self-organization. aricoco organized bi-monthly workshops where participants engaged in devising visual ways of communicating and created a temporary community for the purpose of emergency evacuation. Based on an organizational diagram draft, the participants assigned each of the community members a role/task and explored body movements, emotions, and narratives. As the process evolved, the participants created and altered “rules” according to their needs and situations, to prepare for a new community and start to “think locally.” There was a series of culminating performances to share the research from these workshops. aricoco was recently awarded the 2016-2017 Franklin Furnace Grant, which will allow her to continue developing PIPORNOT. This work was created during a residency at Anderson Center, Red Wing, MN, to conceptualize and visualize ideas for the project PIPORNOT. It portrays an image of a powerless insect Queen, depending on her workers for her continued reign. Inhabiting a carnivorous garden, the vulnerable creatures are challenged to adjust themselves to their surroundings. On July 30th, aricoco held the final public component of her project, which combined performance with activities and informative talks about social insects and how their ways of relating can inform our lives. 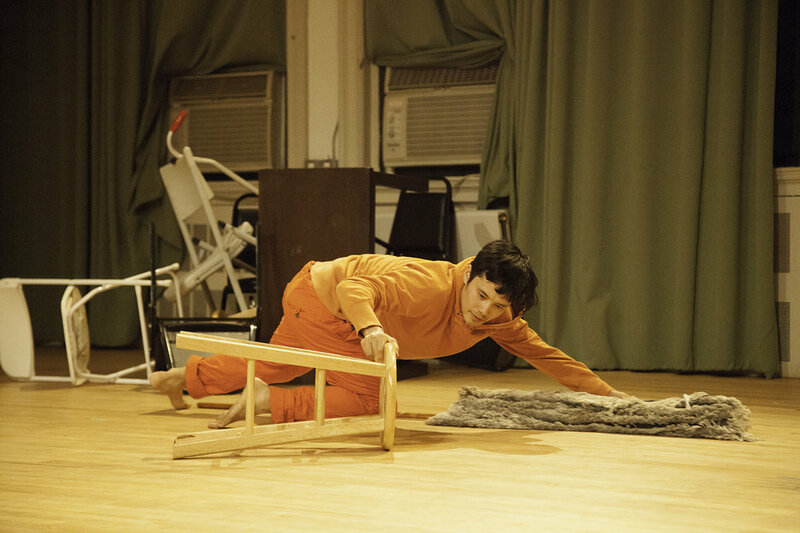 aricoco (Ari Tabei), born and raised in Tokyo, is an interdisciplinary artist living and working in Brooklyn with her current studio space at chashama. She received her BA from Sophia University in Tokyo, and attended the Post-baccalaureate Program in Studio Art at Brandies University. After earning her MFA from the University of Connecticut in sculpture and video performance art in 2007, she was awarded the A.I.R. Gallery Fellowship for 2008-2009. She has since participated in numerous artists in residencies including: Vermont Studio Center, LMCC Swing Space, Smack Mellon Artist Studio Program, Sculpture Space, Blue Sky Project, Triangle Workshop, AAI the Lower East Side Rotating Studio Program, Museum of Art and Design Open Studios, BRIC Media Fellowship, RBPMW Studio Immersion Project, AIM program, Institute for Electronic Arts, Anderson Center and Target Margin Theater Institute Fellowship. She has exhibited and performed extensively in New York City. Her solo exhibitions were at A.I.R. gallery in 2008, then at Rebecca and Drew Manufacturing in 2009, New York Studio Gallery in 2010 and Real Art Ways in 2011, and Wave Hill in 2015. She recently returned to Japan for a project-based group exhibition and performance in Kawasaki City. She has been selected for one of Sunroom Project artist for 2015.